Part 1: Where we are and how did we get here? The Navy has had no credible surface fire support capability since it retired ... battleships. The ability of the US Navy (and others) to support troops ashore frequently comes up for discussion. Projecting power from carriers or launching cruise missile strikes is one thing; but when Marines or Special Operations forces need support, are air and cruise missiles really the best option? What is the USN doing about Naval Surface Fire Support (NSFS) requirements? Shaping the littoral environment, raids, choke points, forced entries, sustained operations near the coast and protecting or reclaiming disputed islands or coastal areas are all operations in which land forces may have to rely on heavy fire support delivered from offshore. Examples of these operations can be seen in recent history off Korea, Vietnam, Falkland Islands, Lebanon, Iraq and Yemen. All these conflicts involved naval assets providing NSFS. The US Army’s ATP 3-09.42 lists naval fire support as one of the most likely means of fire support during airborne operations. If NSFS has been required for these low intensity and regional wars, is their any reason to believe it won’t be required in similar situations in the future, or in a major war? While it may be far preferable to land troops where an enemy is not, an adversary will react or options for deploying troops from sea to shore may be limited. Having insufficient fire support could be a telling disadvantage for forces coming ashore initially, or during sustained operations. Fire support needs to be timely, sustainable and effective. Timeliness is important because of the fluid nature of a battlefield, especially if forces are calling for fire against emerging threats. This requires a response time of minutes against emerging threats or mobile targets. The current requirement is 2.5 minutes from call to fire until weapon response. This is actually a loosening of the previous requirement, which mandated the 2.5 minute response to be until weapon impact. Sustainability is another clear requirement: if logistics, maintenance, or other factors prevent the NSFS from being able to respond to prolonged or multiple requests, NSFS won’t be available when needed. Effectiveness is a third obvious requirement. If the support called for is timely, but cannot hit or defeat the target, then it is not much help. Accuracy helps here, but a precise projectile fired against a target that has moved, or whose location is inaccurate, is precisely wrong. Thus, effectiveness can also be the ability to saturate an area target or correct onto an imprecisely located target or track onto a moving target. Different NSFS weapons may be needed to ensure effectiveness against hardened point targets, moving targets, or area targets. Tied into timeliness, sustainability and effectiveness is affordability. If the NSFS system is so expensive that only a few can be fielded, or its ammunition is too expensive, it may not be available when needed, or even procured. If NSFS isn’t timely, sustainable or effective, the result is a serious risk to forces or inability to execute missions. To those requesting fire support, the means and method are far less important than getting timely and effective support. Currently, there are a few options for support: close air support, which isn’t NSFS but provides the same effects to those needing it, traditional ship based guns, and finally rockets and missiles fired from ships. None of these currently meet requirements. The United States has a demonstrated capability to deliver massive fire support from the sky. From land bases, carrier decks, helicopters and drones, the US way of war is to seize control of the air. However, while a plethora of platforms and ordnance options make air power very effective, it may not be timely for troops in contact. To have timely air support requires 24/7 availability, perhaps with multiple sections of aircraft (or drones) able to fly to delivery point with weapons support for troops on the ground. It takes time to launch alert aircraft and vector to point of contact, so to be truly timely, dedicated close air support (CAS) stations would be needed. The 24/7 requirement would require multiple aircraft carriers or very capable land bases within range. Additionally, in a contested environment, these relays of aircraft might be exposed to threat of hostile aircraft and air defense systems, making the reliability of calling them in questionable based on threat environment. While a high tech solution might be to field swarms of drones with appropriate weapons, deployed as needed to support troops ashore, such a network of armed drones does not exist yet, nor something to deploy them in the quantities required. Extreme weather can reduce the timeliness and effectiveness of aircraft and drones. Finally, a report on the invasion of Iraq noted that CAS support was unreliable and involved an overly complex process to coordinate. If troops need NSFS, airpower may be effective, but is not reliable or timely enough. For decades, heavy guns provided NSFS, or as it was called then Naval Gun Fire Support (NGFS). Battleships and cruisers excelled at bringing timely and effective fire support bombardment to troops ashore. While 5” guns provided volume of fire, the larger caliber guns of cruisers and especially battleships provided the ability to destroy hardened targets and reach deeper into land, supporting troops as they advanced off the beachhead. In the 70s, the US Navy experimented with up gunning destroyers with 8”/55 caliber Mark 71 guns which could fire guided shells up to 16 miles. The SPRUANCE class destroyers and TICONDEROGA class cruisers were designed to accept these large caliber mounts. Setting an unfortunate pattern for efforts to provide enhanced gunfire support from ships, the program was cancelled. To fix these deficiencies, the four IOWA class battleships were returned to service multiple times. They saw service in World War II, Korea, Vietnam, off Beirut and in Desert Storm. In Desert Storm, significant minefields, shallow waters and coastal-defense cruise missile batteries made closing the Kuwaiti shore hazardous, but the two battleships were able to fire over these impediments to further the deception that the coalition was planning an amphibious landing. Had NSFS support not been available, it is far less likely that Iraq would have committed as many forces to defending the coast. 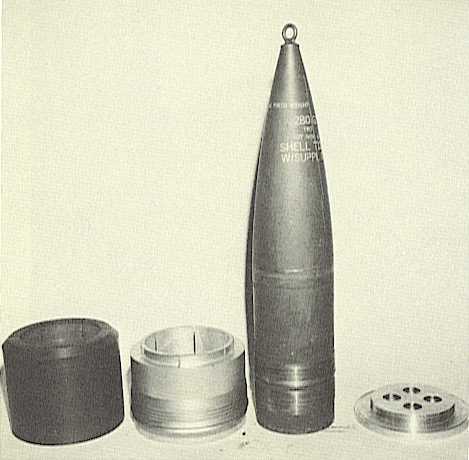 A variety of ideas to improve the effectiveness of the IOWA’s main guns were considered, including Mk.23 nuclear shells, the EX-148 that dispensed bomblets to hit area targets more effectively, sabot rounds with range that exceed the current USMC interim threshold of 63nm, and guided rounds. Despite the effectiveness of the IOWAs and data indicating that the 16in main guns were the most effective weapons for many NSFS missions, the decision to retire the battleships was based on their high operating and maintenance costs. The idea of reactivating the IOWA class battleships continues to come up, but the remaining infrastructure to support them was dismantled in 2010, and the remaining ammunition and main gun barrels scrapped. They have been turned into museums and the Navy no longer funds any maintenance. Trying to rebuild infrastructure and develop long range munitions would seem to violate the affordability check, and with only 1-4 BBs, they may not be available when needed. The USMC requirement for support by naval fires is between 41-63nm, but has revised this request upwards to 200 nm for naval surface fire support in the future. This was based on the concept of the USMC conducting assaults from at least 25nm offshore. The USN has attempted to support the low end, near term threshold with a variety of programs including the Autonomous Naval Support Round, the Barrage Round, and the Extended Range Guided Munition (ERGM) which could be fired from newer 5” 62 Caliber deck guns on USN destroyers. However, each of these programs was eventually canceled, like the previous 8” and 16” programs. The Vertical Gun System with a 155mm cannon firing guided rounds was explored to meet the longer 63nm interim requirement. This eventually became the Long Range Land Attack Projectile (LRLAP) fired from the Advanced Gun Systems (AGS) of 32 DD-21 destroyers. This was reduced to 24 DD-21 destroyers, which the USMC had stated was the minimum required. The LRLAP also fell victim to rapidly rising costs, making it more expensive than missiles that traveled orders of magnitude farther and with much higher payloads. The DD-21 program itself was not completed as planned, with three DDG-1000 ZUMWALT class being the end result, carrying just 6 AGS between them. Even with the USN planning to use the Excalibur guided round for these 6 guns, Excalibur does not meetthe low end interim range threshold, nor do only three ships ensure one will be available when needed. For current USN gun based NSFS, there is another concern: ammunition. Modern warships carry far fewer NSFS rounds than their predecessors. The US Navy’s Concept of Operations for Surface Combatant Land Attack Warfare 2005-2015 projects that an ARLEIGH BURKE class DDG will only have 244 5” rounds available for NSFS, and a cruiser 389. It further calculates that an average fire mission will be 22 rounds, and during an assault NSFS support will be needed every 4.5 minutes, lowering to every 20 minutes during sustainment. The result of this is a Destroyer running out of NSFS ammo in 1-4 hours, and a Cruiser in 1-6 hours, necessitating multiple vessels to provide sustained support. An additional issue is rate of fire. The sustained rate of fire for the DDGs single guns is 2-4 rounds per minute. Per SW300-BC-SAF-010, firing more than 50 rounds in 4 hrs (12.5rds/hr) results in a hot gun situation and risk to ship. This could prevent a DDG from responding to more than 2 calls for fire in 4 hrs, when twelve are expected by the Navy during sustained operations. This could result in the DDG being unable to sustain NSFS fires during an assault, and barely able to do so during follow on shore operations. This is noted in the Army’s ATP 3-09.42 which states “Single 5-inch gun mounts on destroyers lack a sufficient rate of fire over an extended period to support volume fire requirements.” Vessels of previous eras had more rounds per turret than predecessors from the 30s to 80s, and the older ships had far more turrets, had higher rates of fire and thus could saturate an NSFS target faster and engage more before needing to reload ammunition. Current USN gun systems can not meet range, lethality or sustainment thresholds to be effective NSFS weapons. This leaves the entire concept of NSFS support of troops in littorals, or even artillery raids by ships, untenable. For as long as there has been gunpowder, there has been another option for fire support: rockets and missiles. In World War 2, the USN fielded a small number of Landing Ship Medium (Rocket) that mounted 1000 short range rockets. 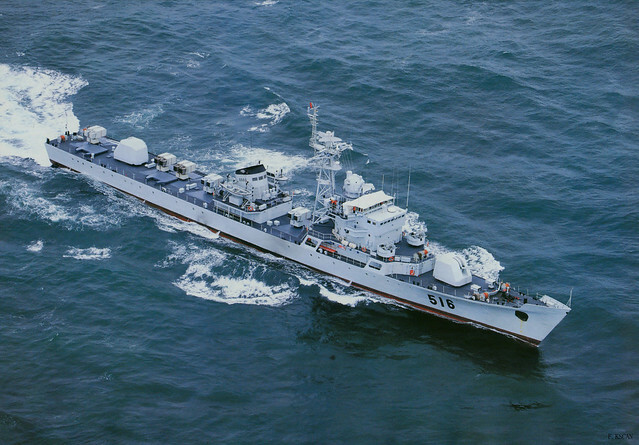 In a modern twist, a few Chinese frigates have been converted to carry five 50-tube rocket launchers and two twin deck guns, presumably to meet their NSFS support requirements, giving them more NSFS power than any other vessel in service. In the 90s, the USN looked at meeting the USMC’s long range requirement with the Land Attack Standard Missile (LASM, or SM-4) which could be fired from the VLS cells proliferating across the fleet. LASM, however, did not have sufficient lethality against hardened or mobile targets, nor did it meet the 200nm range threshold. It would also take up a VLS tube that could be used by the much longer range Tomahawk cruise missile. The newest Tomahawk, the Tactical Tomahawk, offers a long-range, large warhead option (with unspent fuel adding to explosive potential) weapon that can be re-targeted in flight. However, engaging a mobile target, or the risk of the reported target position being slightly off, resulting in a very expensive Tomahawk detonating in precisely the wrong place, limits its utility in a confused and fluid littoral combat environment. Like LASM, it also competes for valuable VLS storage space. Response timelines is also a serious concern. Even if launched with 2.5 minutes of request, its subsonic speed makes it no more responsive than tactical aircraft. The Tactical Tomahawk is a strike weapon, not a valid option for NSFS. For various reasons, the US Navy has failed to provide NSFS that meet USMC’s stated requirements for over fifteen years. This means forces ashore in littorals cannot rely on effective, timely fire support beyond what they brought with them. The USN currently relies on 5” guns to provide NSFS, which have low lethality against hard or moving targets, insufficient range and limited ability to sustain combat operations. They are also all mounted on high-end multi-role warships and thus NSFS tasking must compete with other missions for which the US cruisers and destroyers are actually better suited. In the 2003 invasion of Iraq, Royal Navy and Royal Australian Navy warships were considered more capable in providing NSFS. This situation severely limits the ability of US ground forces to operate in a contested littoral environment, or the USN to respond quickly to a land threat in a littoral environment: for example a recently detected coastal defense cruise missile (CDCM) battery. Numerous programs were started, but ultimately not procured. The latest idea to meet the NSFS gap is yet another USN gun round, this time compatible with multiple weapons. 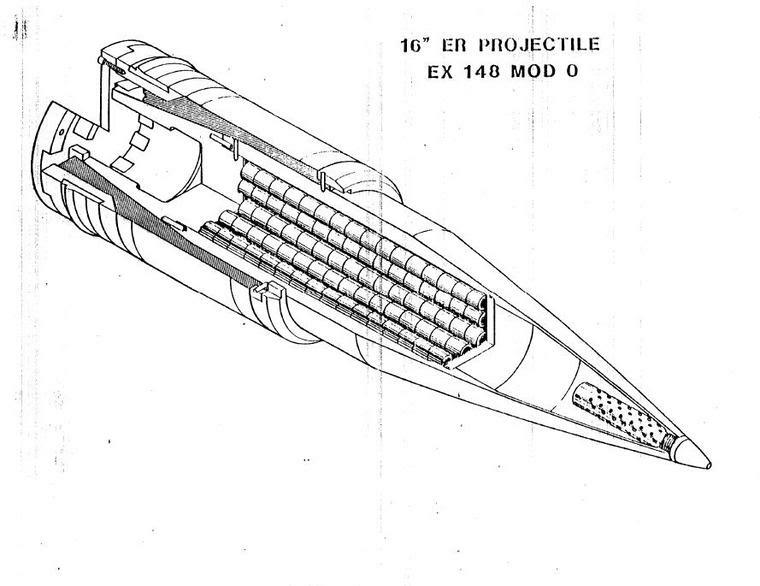 This is the Hyper Velocity Projectile, designed to be a commonround used by the USN 5”, USN AGS, USMC 155mm artillery and the Electromagnetic Rail Gun (ERG). The HVP is fitted with a sabot when fired from the larger bore weapons. If fielded, this round would meet the USMC’s interim threshold when fired from existing US naval gun systems. However, even the rail gun variant of the Hypervelocity Projectile, which requires both it and the rail gun to be fielded, is advertised as reaching only 100nm, well short of the USMC’s ultimate requirement. So, in the end, it does not meet the range threshold, and given the known deficiencies of 5” shellfire against hardened targets, the lethality of the HVP could be questioned if fired from the lower-velocity weapons. The problem of the small warhead (or lack of warhead) resulting in diminished area of effect would lead to a large number being needed for any area of uncertain target locations, complicating the sustainment and effectiveness criteria. Finally, given the track record of USN NSFS programs, one could doubt whether it will ever be fielded. There is, however, another existing option. The USN test fired the MGM-140 Army Tactical Missile System (ATACMS) from the deck of the USS MOUNT VERNON (LSD-39) back in 1995. The ATACMs is guided, and the current model reaches over 160nm, greatly exceeding the USMC’s interim requirement and nearing the 200nm threshold. The rapid time of flight and guidance to a pinpoint target will allow it to distribute sub-munitions over a target area, BAT sub-munitions would engage moving targets, and a unitary warhead option is also available for hard targets. The extended range ATACMs currently under development reaches the 270nm treaty limit, and will incorporate a seeker head to give it a moving target and anti-ship capability. If certified for shipboard use, this would provide timely and effective fire support to the depth the USMC desires. One drawback is that it takes up a full Vertical Launch System (VLS) cell, thus competing with other weapons on combatants. This might be somewhat eased by installing VLS on more ships, including the planned 16 VLS cells on LPD-17 class, which could then bring both Marines and supporting firepower. However, even if only a single ATACMs was required to service a NSFS target, they would run out quickly with no way to reload at sea (unlike guns). A basic solution might be to simply park Army or USMC MLRS or HIMARs on the flight decks of warships, as in the LSD-39 test. However, this strategy requires that mobile weapons be held back from the landing force, ties up valuable deck space, and still exposes the valuable warship carrying them to risk. The ammunition constraint remains the same: only a limited quantity of large rockets can be carried. This is a cheap, but inelegant partial solution, and not a proper way to support troops in the littorals. A less vulnerable way of bringing NSFS close to the fight, with enough onboard ammunition to sustain the fight, is needed. This will be addressed in Part II.